Quaife ATB Helical LSD differential for Ford Focus 2.0 Zetec is suitable for Focus models using the MTX75 gearbox. A direct replacement for the standard Ford open differential, the Quaife ATB differential transforms your car's performance. Unlike a conventional plate-style limited slip differential, the Ford Focus 2.0 Zetec Quaife ATB Helical LSD differential relies on gears rather than clutch plates for its operation. That means it is much smoother in operation. The Ford Focus 2.0 Zetec Quaife ATB Helical LSD differential never locks harshly with a set pre-load of wheel slip across the driven axle, like a conventional LSD. Rather, the Ford Focus 2.0 Zetec Quaife ATB Helical LSD differential automatically biases the torque away from the spinning wheel across the axle, to a constantly varying degree, and never locks. The Ford Focus 2.0 Zetec Quaife ATB Helical LSD differential has many benefits over a standard open differential, including maximising traction and minimizing wheelspin, eliminating torque steer and snatching in front wheel drive cars compared to conventional LSD units, and a maintenance-free design which retains the standard oil lubrication. 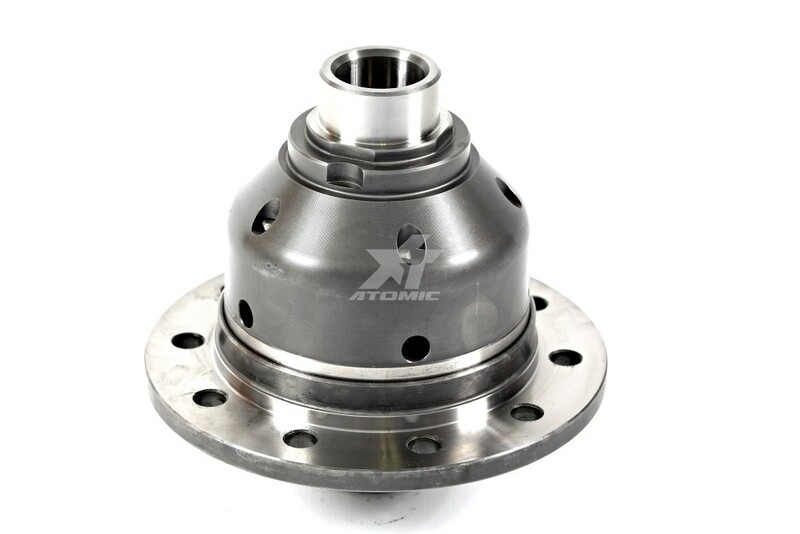 The Ford Focus 2.0 Zetec Quaife ATB Helical LSD differential is proven in circuit and drag racing, rallying and road use, and is produced from Corus steel billets, and is CAD designed and CNC machined, then inspected to ISO 9001 standards. The Quaife ATB Helical LSD differential for Ford Focus 2.0 Zetec is also now subject to a lifetime warranty (subject to terms and conditions). Дествительно ли этот дифференциал есть на складе? Можно узнать срок поставки после предоплаты? Добрый день, если позиция есть у поставщика, примерно 6-8 недель до нашего склада.